Actress Son Ye Jin and Girls' Generation's Seohyun are considering legal action against a Chinese variety show. 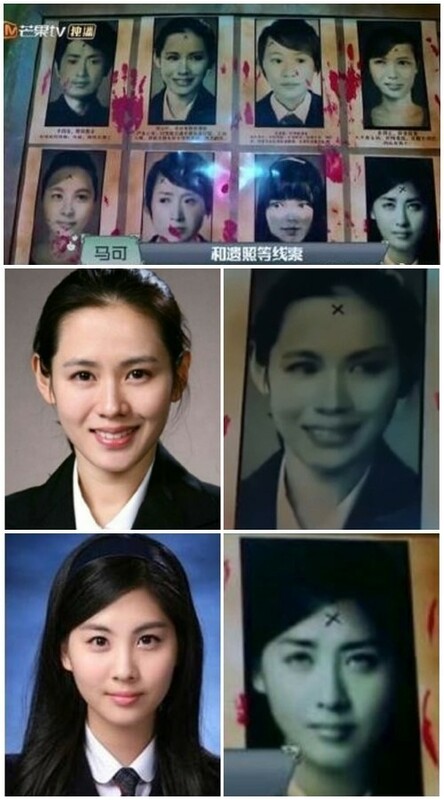 According to media outlet HongKong01, Chinese variety show 'Evil Room Escape Dark House' on MangoTV is under scrutiny for using popular celebrities' photos as horror funeral portraits. The portraits include Korean stars Son Ye Jin and Seohyun along with a number of Japanese celebrities. On May 11, producers of the show responded to criticism on Weibo, stating, "They're internet photos that we randomly photoshopped. The intent wasn't to damage the image of the celebrities." However, it seems fans are still upset by the portrayal. Son Ye JIn's agency MSteam Entertainment stated, "We're currently discussing how to respond. We need to have an internal consultation. We'll reveal how we will be responding after discussion." Seohyun's reps also said, "We're currently discussing in what way we will be responding."